Bill J. Hall, 69, a resident of Round Lake Beach, IL, passed away Saturday, April 20, 2019 at his home. He was born December 7, 1949 in Slagle, WV to Oscar Lee and Bertha (nee: Vinson) Hall. Bill was an avid golfer and darts player. Bill is survived by his son Johnny (Lisa) Fuller, his brother Bob (Trudy) Hall, his sister Joanne Edwards, his half-sister Virginia Deskins, his brother-in-law Garry Early, and he was a loving uncle to many nieces, nephews, and great-nieces and great-nephews. He was preceded in death by his parents, his sister Betty Early, and his brothers Tom and Ted Hall. A visitation and funeral service is scheduled for Saturday, April 27, 2019 from 9:00am until 11:00am with the funeral service commencing at 11:00am at Strang Funeral Chapel & Crematorium 410 E. Belvidere Rd. Grayslake, IL 60030. Interment will be held after the services at Highland Memorial Park Cemetery in Libertyville, IL. For more information please contact (847)223-8122 or log onto www.strangfuneral.org. 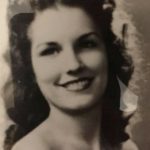 MaryEllen Florence Idstein, 90, a resident of Lindenhurst and formerly of Grayslake, passed away Tuesday, April 16, 2019 at the Village of Victory Lakes in Lindenhurst. She was born August 17, 1928 in Chicago, IL to Clyde and Dorothy Foster. She was a member of St. Gilbert Catholic Church. She is survived by her husband, John “Jack” Idstein, whom she married 68 years ago on September 9, 1950 in Chicago. Mary met her husband, Jack, at a local Young Peoples Club, where they both started their love for skits, etc. After moving to Grayslake in 1953, Mary sang in the Choir at St. Gilberts for over 50 years. She was involved with the community and worked for a number of years for The Grayslake Times, Rudolph’s Pharmacy and many volunteer offerings—all while raising seven kids. She also enjoyed playing designer and GC for a family custom log home buidling company. More recently she enjoyed the Writer’s Club at Victory Lakes. She is also survived by her children, John R. (Patricia L.) Idstein of Grayslake, Dorothy A. (Hershel) Green of Springville, TN, Kenneth J. (Anna) Idstein of Grayslake, Paul H. (Karen) Idstein of Canyon Lake, TX, and Margaret M. (Paul) Moore of Casa Grande, AZ; grandchildren, Karrie Idstein of Kenosha, WI, Khristine Idstein of Kenosha, WI, Hershel L. Green III of Washington, DC, John (Jennifer) Green of Saluda, VA, Crystal Green of Baltimore, MD, James (Arianna) Green of San Diego, CA, Katrina (Russell) Laws of Henderson, NV, Thomas (Abbie) Idstein of Grayslake, Derek (Erika) Idstein of Waxhaw, NC, Isaac (Alex) Idstein of San Antonio TX, and Paul Moore Jr. of Phoenix, AZ; and eight great-grandchildren; and one sister, Kathleen (Jim) Ott of Temecula, CA. Her parents; two sons, Thomas M. Idstein and Daniel C. Idstein; and a grandson, Aaron Idstein preceded her in death. A visitation is scheduled for Monday, April 22, 2019 from 3:00pm until 7:00pm at Strang Funeral Chapel & Crematorium 410 E. Belvidere Rd. Grayslake, IL 60030. The funeral mass is scheduled for Tuesday, April 23, 2019 at 10:00am at St. Gilbert Catholic Church 301 E. Belvidere Rd. Grayslake, IL. Interment will be follow at Ascension Cemetery in Libertyville, IL. In lieu of flowers, memorial contributions may be made to Catholic Charities. For more information please contact (847)223-8122 or log onto www.strangfuneral.org. Arrangements for Gayle M. Sison are as follows: Visitation and funeral services are scheduled for Saturday, April 20, 2019 from 10:00 a.m. until 11:00 a.m. with the funeral service commencing immediately following the visitation at 11:00 a.m. at Strang Funeral Chapel, 410 E. Belvidere Road, Grayslake, IL 60030. For information, please call 847-223-8122 or visit www.strangfuneral.org. 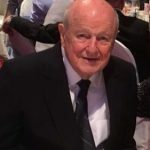 Rudolph “Rudy” J. Nowak, 91, a resident of Grayslake and formerly of Antioch, passed away Tuesday, April 16, 2019. He was born March 29, 1928 in Chicago, IL to John and Mary Nowak. Rudy was a veteran having served with the United States Army Air Force. He was a former member of St. Peters Catholic Church in Antioch. Rudy is survived by his wife of 64 years, Clare, his sons Ken (Jean) Nowak and Bob (Cheryl) Nowak, his grandchildren Andrew Nowak, David Nowak, Jen (Nick) Moore, Jimmy Nowak, Catie Nowak, and Joey Nowak, and many nieces and nephews. He was preceded in death by his parents and sisters Helen Padula and Jane Grabowski. A visitation and funeral mass is scheduled for Monday, April 22, 2019 from 9:00am until 11:00am with a funeral mass commencing at 11:00am at St. Gilbert Catholic Church 301 E. Belvidere Rd. Grayslake, IL 60030. Entombment will follow at All Saints Cemetery in Des Plaines. In lieu of flowers, memorials may be made to Juvenile Diabetes Research Foundation www.jdrf.org. All funeral arrangements were entrusted to Strang Funeral Chapel & Crematorium 410 E. Belvidere Rd. Grayslake, IL 60030. For more information please contact (847)223-8122 or log onto www.strangfuneral.org. 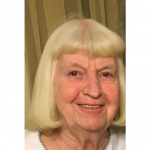 Judy J. Shepherd, 71, a resident of Round Lake Beach, IL, passed away Sunday, April 14, 2019 at Vista East in Waukegan. She was born October 18, 1947 in Memphis, TN to Peter H. and Ruby Jewel (nee: Littlejohn) Smith. Judy loved going with family to the Elgin River Boat. She enjoyed cooking and crafting, loved her dog Rizzie, but most of all Judy loved being with her grandkids and family. Judy is survived by her husband of 52 years, Tom ,whom she wed on July 29, 1966 in Waukegan, IL, her children Shelley Shepherd of Gurnee and Kimberley (Brian) Scott of Antioch, her grandchildren Chelsea (RaDarius) Pough, Arrick (Anna) of Gurnee, McKenzie Scott, DeLaney Scott, Ryan Scott, and Masen Clark, her great-granddaughter DaNae Pough, her siblings Barbara (Augie) Baumgart of Genoa City and Peggy (Dennis) Kurek of Harvard, and many nieces and nephews. She was preceded in death by her parents. A visitation and memorial service is scheduled from 6:00 pm until 8:00pm with a memorial service commencing at 8:00pm on Tuesday, April 23, 2019 at Strang Funeral Chapel & Crematorium 410 E. Belvidere Rd. Grayslake, IL 60030. Interment will be held privately. For information, please call 847-223-8122 or visit www.strangfuneral.org. Richard R. Biemeret, 72, a resident of Gurnee, IL, passed away Saturday, April 13, 2019 at Advocate Condell Medical Center in Libertyville, IL. He was born August 7, 1946 in Fond du Lac Wisconsin. Richard was a member of St. Paul the Apostle Church in Gurnee and worked as a teacher. Richard is survived by his wife Sue, whom he wed on August 15, 1981, his brother-in-law Frank Keres and his sister-in-law Cathe Keres, and many dear friends. A visitation and funeral mass is scheduled from 9:30 a.m. until 11:30am with a funeral mass commencing at 11:30am on Monday, April 22, 2019 at St. Paul the Apostle Church 6401 Gages Lake Rd. Gurnee, IL 60031. Interment will be held at Ascension Cemetery in Libertyville, IL. Memorial donations may be made to Save-a-Pet or the donor’s choice. All funeral arrangements were entrusted to Strang Funeral Chapel & Crematorium 410 E. Belvidere Rd. Grayslake, IL 60030 For information, please call 847-223-8122 or visit www.strangfuneral.org. 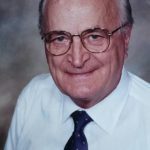 Victor T. Pasko, 92, a resident of Round Lake Beach, IL, passed away Saturday, March 30, 2019 in Genoa City, WI. He was born October 10, 1926 in Russia to Stepan and Alexandra Pasko. Victor loved oiled painting and attending LDS church in Lake Villa. He loved spending time with his family and will be dearly missed by all. Victor is survived by his wife, Irma, his children Elizabeth Pasko, Andy (Liliya) Pasko, Peter Pasko, Gabriel (Jackie) Pasko, and Raquel Pasko, and his grandchildren Andrey, Ashton, Aaron, Arnis, Gabriella, and Jack. He was preceded in death by his parents and his brother Wladimir “Walter” Pasko. A visitation and funeral service is scheduled for Friday, April 5, 2019 from 5:00pm until 7:00pm at Strang Funeral Chapel & Crematorium 410 E. Belvidere Rd. Grayslake, IL 60030 with a funeral service commencing at 7:00pm. The burial will take place on Saturday, April 6, 2019 at 11:00am at Avon Centre Cemetery in Grayslake, IL. For more information please contact (847)223-8122 or log onto www.strangfuneral.org. Pauline Evelyn (Goodson) Semmerling was born on February 5, 1933 in Chicago, Illinois. She died on March 25, 2019 in Round Lake Beach, Illinois at Hillcrest Nursing Center. She had been a longtime resident in Des Plaines, Illinois and Yalaha, Florida. She was preceded in death by her parents Andrew Rucker (AR) Goodson and Margaret (Cokefair) Goodson, her husband, Ralph Semmerling; son, Jim Turley; and brother, Earl Goodson. Pauline was an avid reader and great supporter of her local libraries. She also enjoyed watching her extensive collection of movies, listening to music and making crafts. She would read the daily newspapers, clipping articles to share and enjoying the ‘funnies’ page. Pauline created beautifully hand stitched and hand painted Christmas ornaments for her family, which we treasure. She never missed an opportunity to send birthday and graduation wishes with cards and wonderful letters. She also was a collector of dolls. For years, Pauline enjoyed biking around town, swimming and exercising at the YMCA. She worked as a secretary at US Gypsum Research with her husband, Ralph. They retired in 1987 to Yalaha, Florida. While in Florida, she served on the homeowner’s association board for The Springs community. She was a big fan of “that mouse” AKA Mickey Mouse/Walt Disney World. Pauline and her ex-husband, Glen Turley had 8 children: She is survived by Fred Turley, Lynn Lilja (Steve), Joyce Turley (Jerry Gosenpud), Rena Othick (Mike), Jill Buck (Joe), Dave Turley (Suzanne) and Bill Turley (Malik). She also is survived by brother, Bo Goodson and sister-in-law, Terese Goodson (Earl). Pauline’s grandchildren are Kellyn Markus (Robert), Ray Mandelky, Aimee Gustafson (Jim), Rachel Plotner, Randy Plotner (Liz), Julianne Turley-Plotner (Greg Edwards), Tom Gosen, Andy Othick, Michelle Nestler, Jessie Hammersmith (Gary), Holly Buck, Ryan Turley, Karlene Turley, Forest Turley, Quinn Turley, and Grey Turley. Pauline has many adorable great-grandchildren. For the past 2 1/2 years, Pauline lived with caregivers, Lynn and Steve Lilja, in Antioch, Illinois providing her with a loving and safe environment. They attended CrossView Church together. On Sunday, June 30, 2019, there will be a visitation from 1:00 pm until 2:00 pm with a memorial service commencing at 2:00 pm at Strang Funeral Chapel, 410 East Belvidere Road, Grayslake, Illinois 60030. Phone: 847-223-8122. Following will be a luncheon and reminiscing at the home of Joyce Turley and Jerry Gosenpud. Pauline will be buried at All Saints Cemetery in Des Plaines, Illinois. Memorials/donation may go to: Alzheimer’s Association.